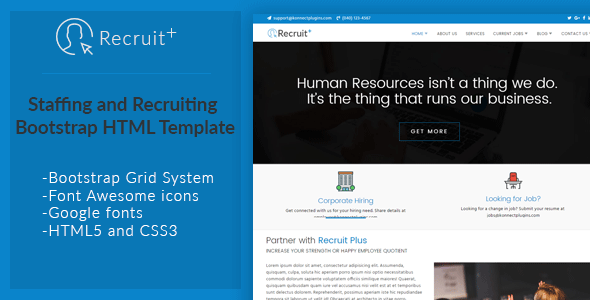 Recruit Plus HTML Responsive Template is clean website template, you can use this template for Staffing and Recruiting Bootstrap HTML Template. You Build whatever you like with this Template. Be it Staffing or Recruiting just everything is possible with this template. Bootstrap & Scalable Responsive Features makes Recruit Plus standout from the international market.